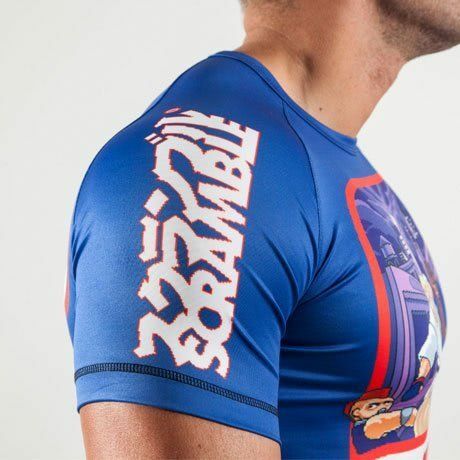 Scramble have teamed up with Smoogy to bring you the Beat-Em-Up rashguard, our nod to the glorious world of 16-bit gaming. I’ve lost count of the amount of hours chunnelled into Streets of Rage 2 and Robocop vs Terminator. Not much has changed to be honest. Tech stuff – this rashguard is made of 80% polyester 20% elastane. 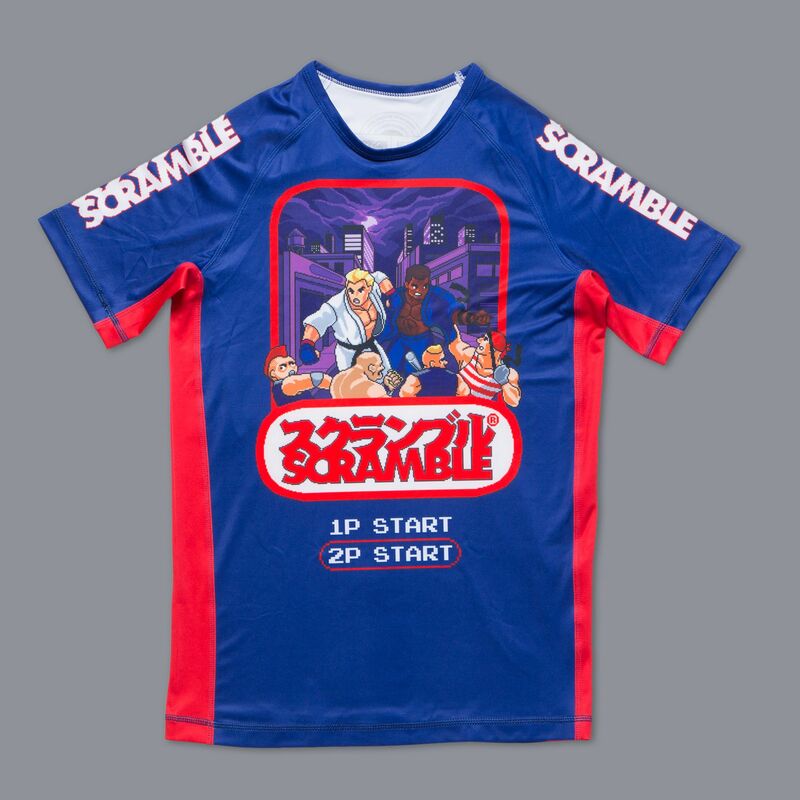 It has short sleeves so you can show off your gaming guns, and wearing it makes you 10 times more likely to beat your PB at Pacman.